The Institute of Electrical and Electronics Engineers (IEEE) released results of a survey they conducted in which about 200 people were polled to find out where driverless car technology is headed. Among the people polled were researchers, academicians, practitioners, government agency officials, university students and society members. 1. Speed bumps to mass adoption of driverless cars: The survey respondents were asked to rank six possible speed bumps in driverless car adoption on a mass scale. Legal liability, policymakers, and consumer acceptance were ranked as the biggest obstacles while cost, infrastructure, and technology were the smallest hurdles. 2. Cars of the future: Most respondents believe that cars of the future will not have rearview mirrors, horns, and emergency brakes by 2030. By 2035, steering wheels and brake/gas pedals will be gone. 3. Dynamic Autonomous Technologies: 56 percent of respondents believe sensor technology is most essential. Software was deemed essential by 48 percent of respondents followed by Advanced Driver Assistance Systems (47 percent) and GPS (31 percent). As far as mapping roads and streets digitally goes, 74 percent respondents believe that within the next 15 years the whole world will be mapped digitally. Digitally mapped roads are essential for driverless cars to operate with low risk of accidents. 4. 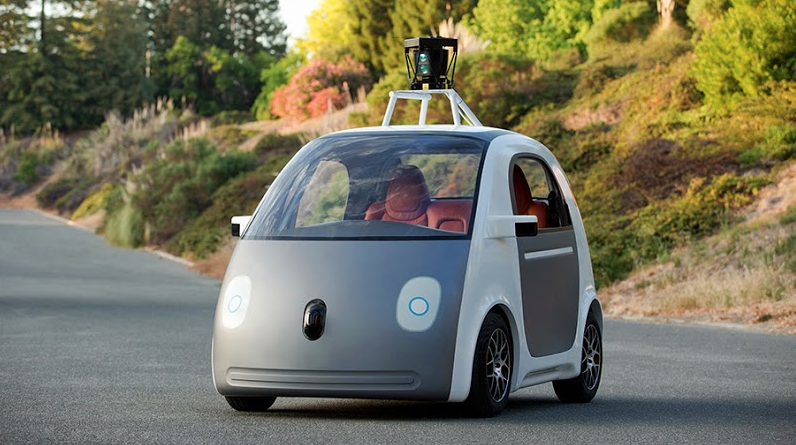 Geographical acceptance of driverless cars: The survey results suggested that 54 percent believe North America will benefit most from driverless cars, followed by Europe (28 percent) and Asia (17 percent). Google seems to be on the right path with driverless cars as their early prototypes don't have a steering wheel, brake/gas pedal, or gear shift. Whether any of this comes true or not, only time can tell. But the survey gives an idea on where human imagination could be headed when it comes to the cars on our roads. For me, the biggest hurdle will be trusting your car to keep you safe on the road. However, control freaks of the future will still want to drive their own cars around.